Welcome to Wedding Day Needs! The Best selection available . We have such a selection of wedding invitations, favours, accessories and lots more to offer you at very competitive prices. If you are looking for something we haven't got, email us and we will try to source it for you. 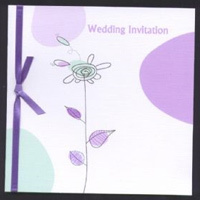 We guarantee all our invitations 100% with a money back no quibble free returns, because we are confident in our work.